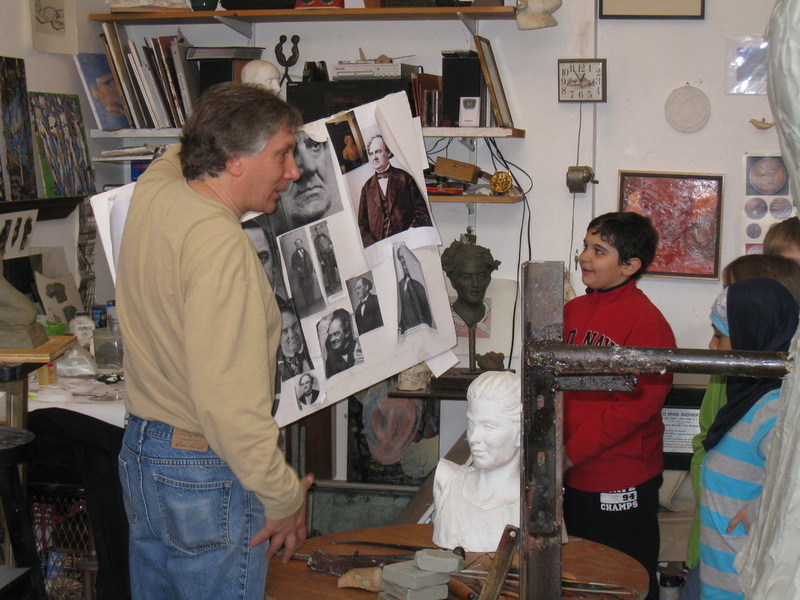 This year, both the 4th and 5th grade art activity students went to see Mr. Dave Gesualdi at his in-home studio, located in Bethel. 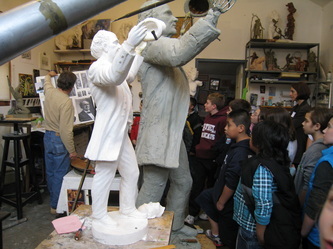 Mr. Gesualdi invited the students to see the sculpture that he is creating. 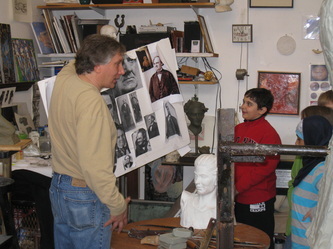 The bronze replica of the legendary P.T. Barnum will be on display in front of the Bethel Public Library next year. 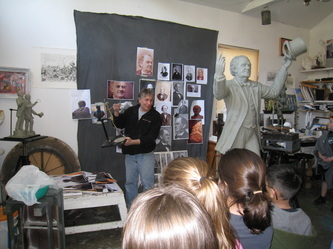 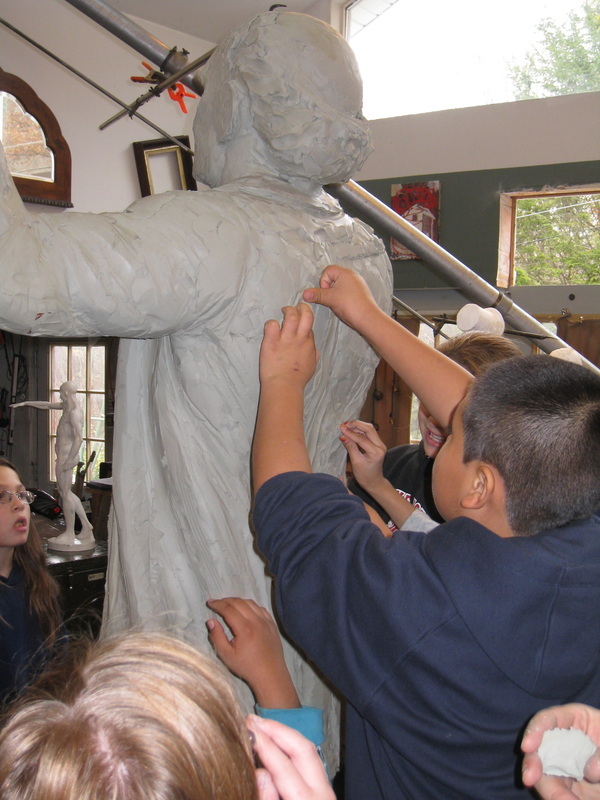 The students learned about the technical aspects of how sculptures are created, from the initial planning stages to preliminary cast molds, and finally to the full sized artwork. 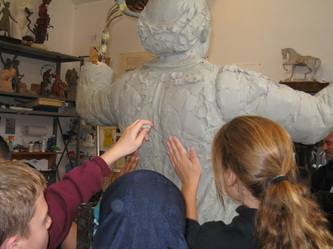 The students also got to put clay onto the figure itself! 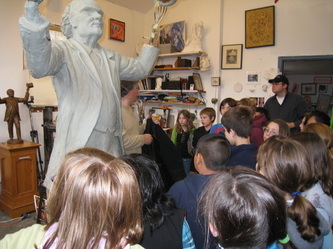 We all learned a great deal about sculptures and the sculptural process. 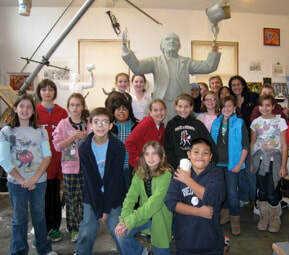 It was a tremendously enjoyable and educational experience for everyone.